Back on 2010, my Spanish was even worse than it is now – just forgotten bits of high school Spanish. But that didn’t deter me on my mission. I had entered the hospital under stealth (okay, not really, but I was just a ‘gringa’ wandering around without authorization) to meet and talk to surgeons, so I wasn’t about to let this opportunity pass by. I knew I was successful when he then asked, “Do you want to go to the cath lab and review today’s films with me?” The rest is now history, on the pages of this blog, multiple articles and the Cartagena book. Sometimes, the language of surgery is universal – which is what makes all of this possible. 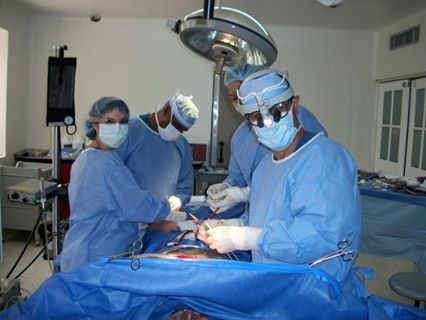 in the operating room with Dr. Barbosa in 2010. Since that first meeting, Dr. Barbosa and I have both improved our language skills (his English, my Spanish) and we’ve kept in contact. We’ve caught up with each at various conferences and meetings. Therefore, I was saddened to hear of the closure of the cardiac surgery program at Hospital Bocagrande due to financial difficulties*. 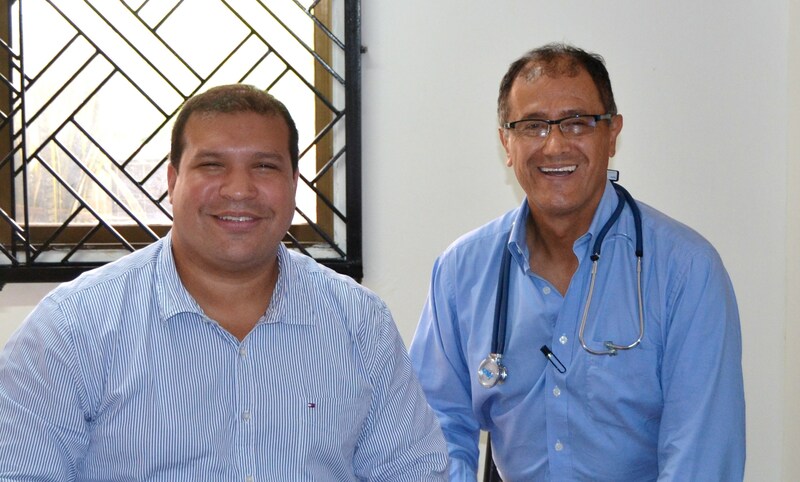 I was excited when Dr. Barbosa told me about his new position in Sincelejo (Sucre) a few years ago, providing cardiac surgery services to the local community. The program called Cardiac Care provides cardiac surgery services to a populace that would otherwise have to travel several hours (to Barranquilla or another large city). When Dr. Barbosa invited to come join his team in Sincelejo, it took some re-arranging and re-scheduling to do – but it was an opportunity I just couldn’t miss. 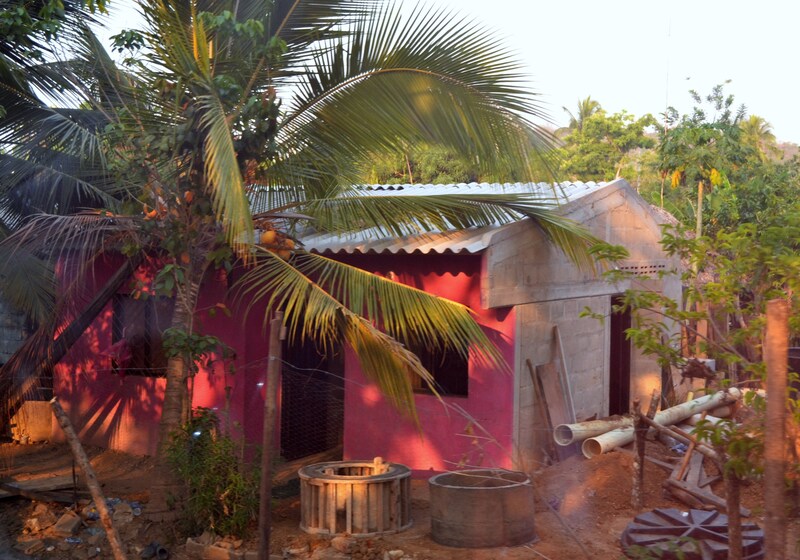 The program remains small and relatively unknown even among Sincelejo residents. For this reason, Dr. Barbosa and his team (cardiac anesthesiologist, Dr. Sebastian Melano and nurse perfusionist, Sra. Iris Castro) all live in Cartagena but maintain another apartment in Sincelejo. When they have surgery scheduled, they stay in Sincelejo for several days to perform surgery and oversee the patient’s recovery. On Thursday, I took my first trip with the group to Sincelejo to see several patients (post-operative patients and new consultations). This trip itself was very interesting. 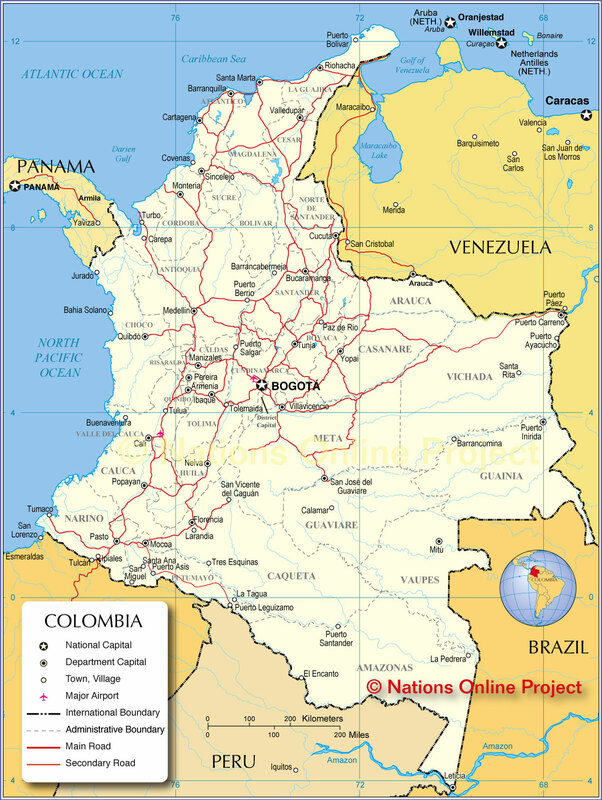 Sucre is a region (state) of Colombia that is entirely new for me. Even though the trip is just 125 km from Cartagena, it’s a journey into a new landscape of rolling hills (Mountains de Maria) and takes over three hours. Leaving Cartagena, we pass through the various areas of the city. We pass through barrio Manga, past several hospitals including Hospital San Juan de Dios, and toll stops. As we pass through the industrial areas of the city, the massive oil refinery expansion project dominates the landscape. Evidence of other ongoing construction and expansion outside city limits is also present. Like most roads outside cities, we pass through several security checkpoints. As we leave Bolivar we pass several palm plantations, where palm oil is produced. (Alas, no palm wine – one of my favorites)**. March is the tail end of the ‘drought season’ of this tropical locale so much of the landscape is brown, and barren appearing (think of Texas, with hills.) This year has been particularly dry with several wildfires due to the effects of the El Niño weather systems. This year, they tell me is even worse than previous El Niño years. A comparison to Texas is appropriate since this part of Sucre is mainly farms with livestock (horses, chickens etc.) and cattle grazing. For this reason, Sucre is well-known to Colombians for both its beef and the richness of the local cheese. Along the way, we pass several small settlements of tiny houses along with the fincas (working farms) of the wealthy. Some of the homes are poured concrete with concrete floors and painted in gay colors, others are hard-packed manure with dirt floors. As part of a promise made to improve the infrastructure of Colombia during President Juan Manuel Santos’ famous “five points” most of the roadways are either newly paved or in the process of being paved and expanded. During the drive, my companions give me the history of the various settlements. 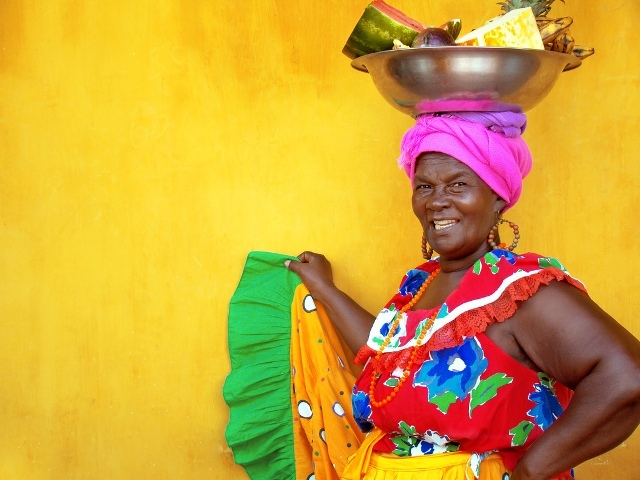 Palenque is known for adhering to mainly of the African traditions of their ancestors, as female residents wear traditional dress. Residents speak a distinct dialect of a creole based, Spanish language mix also called Palenque. photo courtesy of Proexport Colombia. Photo by Juan guFo. Just ten years ago, this simple journey would have been venturing into dangerous territory***. Guerillas and paramilitary groups controlled the area, and terrorized residents and travelers alike. No where does the history of conflict in Colombia become more real than in the tiny town of Chinulito. This town was one of the first casualties of paramilitary activity in the area. Over 300 families had to flee the area for their very lives. Many more were killed. (For a bit of eye-opening, remember that while we often think of these massacres as a thing of the past, the violence is ongoing in parts of Colombia, and this incidence occurred in 2000, not 1970). It wasn’t until 2008, that 56 of these former residents were able to return, under the protective watch of the Colombian military and police. The military presence is significantly heavier than any of the other areas I’ve been to. Soon we enter the town of Sincelejo and head to the office to see patients. *Cardiac surgery services lines are particularly expensive to maintain in comparison to other hospital services. ** Apparently, I am not alone in my appreciation of this type of wine, which is widely considered among locals as the Colombian equivalent of “bum wines” like Thunderbird, Ripple, MD 20/20 or other cheap drinks favored by alcoholics.